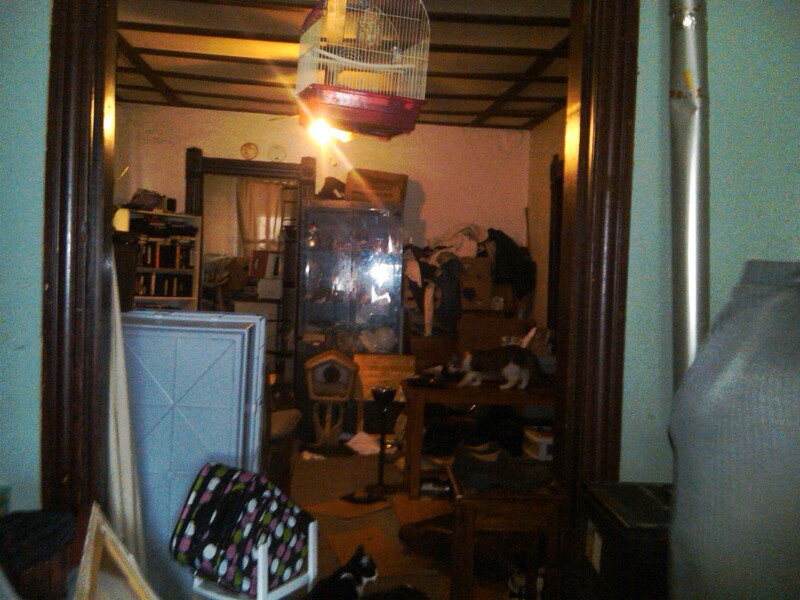 I’ve been writing about a hoarder house near me for over a year now. I tried to get all the cats inside vetted and ready for adoption, but the situation was impossible for me to handle on my own. 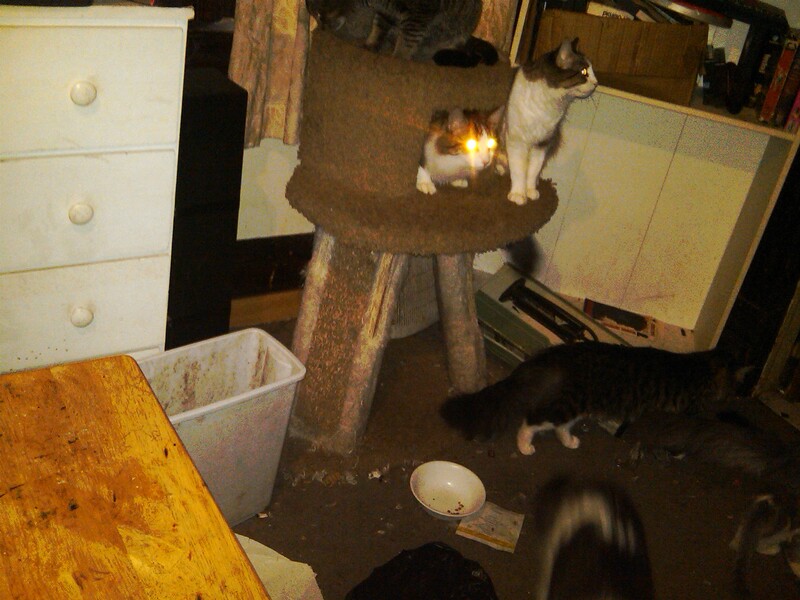 There were at least sixteen intact cats living there at the time in filthy conditions. 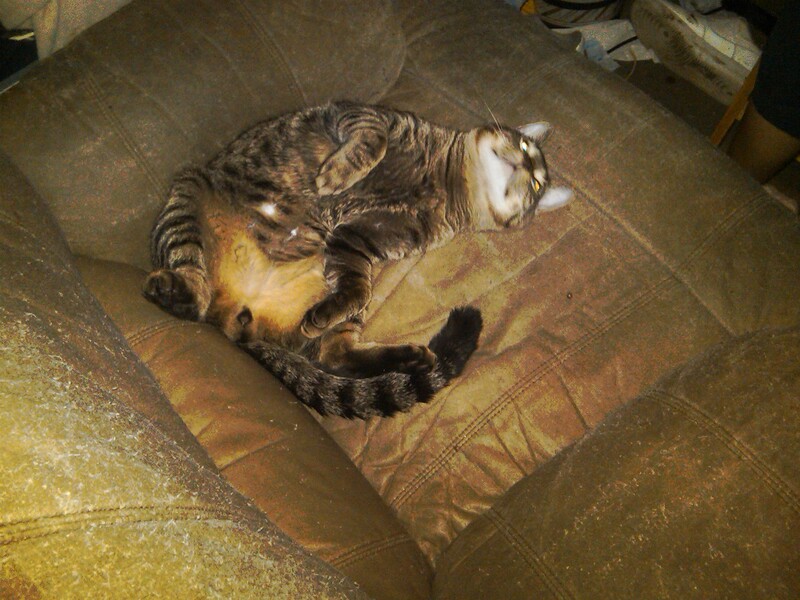 The occupants’ behavior towards me was erratic and alarming the entire time. However, one thing was consistent – they did not want to keep the animals. They were willing to relinquish almost all of them immediately. There was also a dog that would not stop barking the entire time I was there, and live birds in that cage above everything. I’m happy to report that I just heard back from the Anti-Cruelty Society’s V.P. of Operations. He said that their Humane Investigation team was able to transfer nine cats so far out of that home. 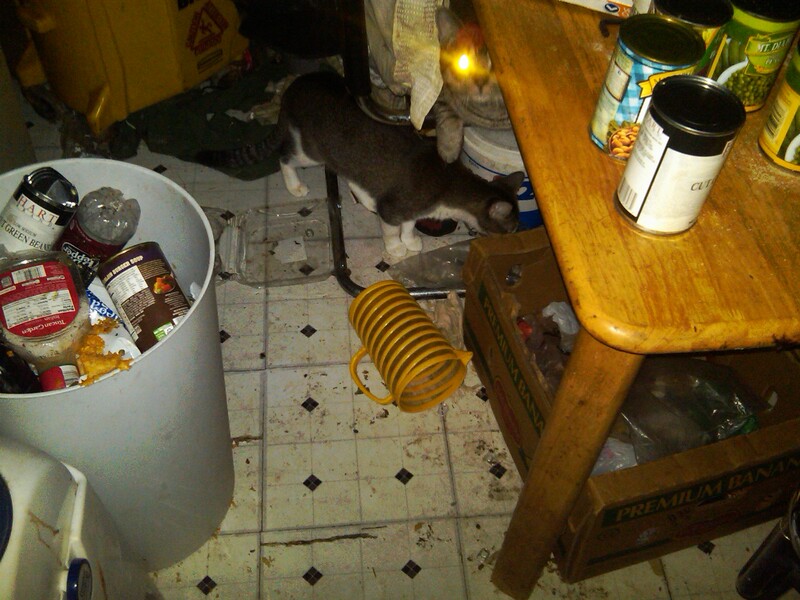 The team is supposed to be back once the weather gets better for the rest of the cats, because currently their investigators are overwhelmed with abuse and neglect cases. Hopefully some of the cats will at least be available for adoption because a lot of these cats were socialized and friendly. Check out this friendly, and, ahem, fully intact, tabby male cat who rolled around in front of me begging for attention the last time I was there. The Anti-Cruelty Society’s humane investigators respond to reports of cruelty and abuse within the city of Chicago and the surrounding metropolitan area. They will also assist with cases throughout the State of Illinois and the Midwest. Some cases may be the result of lack of knowledge on the part of the animal owner. In these instances, the investigator will attempt to educate the owner on his or her legal responsibilities. In situations where more extreme abuse or neglect are involved, our investigators will make every attempt to rectify the situation. As a last resort, they are authorized by the state of Illinois to remove the animal from a dangerous situation. To report cruelty or abuse or neglect of an animal, please call (312) 644-8338 ext. 304 or send an e-mail to [email protected]. Hope they are able to get all those cats out and into a good home.